I COME HERE TODAY COGNISANT OF THE FACT THAT THE HOPE OF OUR NATION RESTS, IN GREATER PART, WITH US THE HONOURABLE MEN AND WOMEN IN THIS AUGUST HOUSE. WE HAVE THE GREATEST POWER IN OUR LAND. THE POWER TO SHAPE THE DESTINY OF OUR COUNTRY, THE POWER TO TRANSLATE THE DREAMS AND HOPES OF OUR PEOPLE INTO REALITY. A REALITY OF FOOD ON THE TABLE OF EACH HOUSEHOLD, HEALTHCARE AND EDUCATION ON THE DOOR STEP OF EVERY COMMUNITY IN A VIBRANT ECONOMY WITH A PLACE IN IT FOR EVERYONE. DURING THIS ADDRESS, I WILL SHARE WITH THE NATION, THROUGH THIS AUGUST HOUSE, THE AMBITIOUS TRANSFORMATIONAL AGENDA THAT THE PATRIOTIC FRONT GOVERNMENT HAS CONTINUED TO PURSUE IN MAKING OUR GREAT COUNTRY, ZAMBIA, A PROSPEROUS MIDDLE INCOME COUNTRY. BEFORE I PROCEED WITH MY ADDRESS, LET ME ASK THE HOUSE TO JOIN ME IN OBSERVING A MINUTE OF SILENCE IN HONOUR OF THE LATE HONOURABLE MEMBERS OF PARLIAMENT FOR KASENENGWA AND MANGANGO CONSTITUENCIES, MS. VICTORIA KALIMA AND MR NALUWA MWEENE, WHO PASSED ON 11TH JUNE, 2018 AND 28TH AUGUST, 2018 RESPECTIVELY. BY 2030, WE WANT TO SEE A ZAMBIA WHERE EVERY CITIZEN HAS ACCESS TO SAFE CLEAN WATER, FOOD, DECENT HOUSING, ELECTRICITY, QUALITY EDUCATION AND HEALTH SERVICES AND DECENT JOBS. IN PURSUIT OF THIS VISION, WE NEED TO TRANSFORM INTO A SMART ZAMBIA. IN THIS REGARD, WE NEED TO ADOPT MODERN, DYNAMIC AND INNOVATIVE WAYS OF DOING THINGS. WE ALSO HAVE TO CONTINUOUSLY RESEARCH, LEARN AND ADOPT NEW AND BETTER WAYS OF DOING BUSINESS. EQUALLY, WE NEED TO BE RESOURCEFUL, EFFICIENT AND PRODUCTIVE IN ALL THAT WE DO. THIS THEME BUILDS ON OUR COMMITMENT AS GOVERNMENT TO MAKE ZAMBIA A PROSPEROUS NATION. THE THEME IS ALSO AN AFFIRMATION OF OUR ABIDING BELIEF THAT ZAMBIA, AFRICA AND THE WORLD AT LARGE CAN BE A BETTER PLACE FOR ALL OF US IF WE WORK TOWARDS ACHIEVING COMMON GOALS. IN PURSUING THIS VISION, WE ARE MINDFUL THAT OUR SOCIETY IS NOT HOMOGENOUS. THERE ARE THOSE OF OUR PEOPLE THAT ARE STRUGGLING TO MAKE ENDS MEET, THERE ARE OTHERS WHO ARE DISADVANTAGED BY REASON OF GENDER OR DISABILITY. YES, THERE ARE THOSE WHO FEEL EXCLUDED BY VIRTUE OF LIVING ON THE MARGINS OF SOCIETY WITH LIMITED ACCESS TO EDUCATION, HEALTH AND OTHER SOCIAL AMENITIES. IT IS FOR THIS REASON THAT GOVERNMENT REMAINS COMMITTED TO NOT LEAVING ANYONE BEHIND. MY ADDRESS TO THIS AUGUST HOUSE WILL FOCUS ON MACROECONOMIC SITUATION, ECONOMIC DIVERSIFICATION AND JOB CREATION, POVERTY AND VULNERABILITY REDUCTION, REDUCING DEVELOPMENTAL INEQUALITIES, ENHANCING HUMAN DEVELOPMENT AND CREATING A CONDUCIVE GOVERNANCE ENVIRONMENT FOR A DIVERSIFIED AND INCLUSIVE ECONOMY. A SMART AND PROSPEROUS ZAMBIA CANNOT BE ATTAINED WITHOUT A STRONG AND GROWING ECONOMY. IN THIS REGARD, GOVERNMENT WILL CONTINUE TO PUT EMPHASIS ON MACRO-ECONOMIC STABILITY. OUR ECONOMY HAS CONTINUED ON A POSITIVE TRAJECTORY, REGISTERING A GROSS DOMESTIC PRODUCT GROWTH RATE OF 3.4 PERCENT IN 2017, WHILE IN 2018, THIS HAS BEEN PROJECTED TO BE AROUND 4 PERCENT. GROWTH IN 2018 IS BEING SUPPORTED BY THE CONTINUED POSITIVE PERFORMANCE IN THE MINING, MANUFACTURING AND TRADE SECTORS, AS WELL AS STABLE ELECTRICITY GENERATION AND SUPPLY. THE DEBT STOCK AND DOMESTIC ARREARS OF THE COUNTRY HAVE, IN THE RECENT PAST, BEEN TOPICAL. IT SHOULD, HOWEVER, BE EMPHASISED THAT THE CONTRACTION OF THIS DEBT WAS NECESSARY TO SUPPORT OUR AMBITIOUS AGENDA OF LAYING A SOLID FOUNDATION FOR THE FUTURE GROWTH OF OUR ECONOMY. FOR OUR PEOPLE, THIS IS BEING APPRECIATED THROUGH ROADS, SCHOOLS AND HOSPITALS BEING CONSTRUCTED, WHICH ARE CRITICAL TO THEIR WELL-BEING. THE HONOURABLE MINISTER OF FINANCE WILL SOON BE PRESENTING TO THIS AUGUST HOUSE THE 2019 NATIONAL BUDGET. THE BUDGET WILL BUILD ON POLICIES AS OUTLINED IN THE ECONOMIC STABILISATION GROWTH PROGRAMME AND THE SEVENTH NATIONAL DEVELOPMENT PLAN. THE PALM OIL PROJECT IS ON COURSE. THROUGH AN OUT GROWER SCHEME, THE INVESTMENT WILL IMPROVE THE INCOMES AND LIVELIHOODS OF 5,000 BENEFICIARIES OF WHICH 30 PERCENT WILL BE WOMEN AND YOUTHS. THE KAWAMBWA TEA ESTATE HAS BEEN REVIVED BY GOVERNMENT AND IS FULLY OPERATIONAL. SO FAR, OVER K30 MILLION HAS BEEN INVESTED INTO THE TEA ESTATE RESULTING IN THE CREATION OF 500 LOCAL JOBS. FURTHER, WE ARE FACILITATING MARKET LINKAGES FOR FARMERS WITH A VIEW TO PROMOTING VALUE ADDITION TO AGRICULTURAL PRODUCE. IN THIS REGARD, 900 SOYABEAN FARMERS HAVE BEEN LINKED TO THE GLOBAL INDUSTRIES LIMITED OF NDOLA, WHO ARE PROCESSING SOYA BEANS AND 151 GROUNDNUT FARMERS TO ABUNDANT FOODS LIMITED IN KITWE. DIVERSIFICATION IN AGRICULTURE IS FURTHER BEING ENHANCED THROUGH IMPLEMENTATION OF THE E-VOUCHER SYSTEM WHICH WAS ROLLED OUT TO ALL THE DISTRICTS IN THE 2017/2018 FARMING SEASON. A TOTAL OF 716,161 OUT OF 804,260 FARMERS WERE ABLE TO ACCESS INPUTS, REPRESENTING OVER 80 PERCENT OF THE FARMERS WHO MADE THE REQUIRED CONTRIBUTION. IT ALSO PUTS MORE MONEY IN THE POCKETS OF OUR FARMERS, WHO HAD A WIDER CHOICE OF WHAT TO PRODUCE. IN ADDITION, 5,800 AGRO-DEALERS PARTICIPATED IN THE SUPPLY OF INPUTS WHICH RESULTED IN THE CREATION OF OVER 23,000 JOBS FOR OUR PEOPLE. IN THE FISHERIES SUB-SECTOR, AQUACULTURE PRODUCTION GREW BY 61 PERCENT FROM 10,500 METRIC TONNES BETWEEN JANUARY AND JUNE 2015 TO 16, 910 METRIC TONNES OVER THE SAME PERIOD THIS YEAR. THE GROWTH WAS DUE TO INCREASED FISH PRODUCTION BY BOTH COMMERCIAL AND SMALL HOLDER FARMERS. THE PERFORMANCE OF THE LIVESTOCK SUB-SECTOR HAS CONTINUED TO SHOW POSITIVE GROWTH. FROM JANUARY TO JUNE, 2018, THE NATIONAL POPULATION OF PIGS GREW BY 84.4 PERCENT, POULTRY BY 33.1 PERCENT, GOATS BY 24.9 PERCENT, SHEEP BY 20.2 PERCENT AND CATTLE BY 12.8 PERCENT. WE HAVE PROMISED OUR PEOPLE THAT AGRICULTURE IS THE MAINSTAY OF OUR ECONOMY. THE PROJECTS AND PROGRAMMES WE ARE IMPLEMENTING ARE INDEED OUR HOPE FOR INCLUSIVE DEVELOPMENT. LET US ALL DIRECT OUR EFFORTS TOWARDS GROWING THIS SECTOR. IN THE AREA OF GEMSTONES AND INDUSTRIAL MINERALS, GOVERNMENT HAS CONTINUED TO PRIORITISE THE GENERATION OF GEOLOGICAL INFORMATION. THIS YEAR, AN ADDITIONAL 0.9 PERCENT OF THE COUNTRY HAS BEEN GEOLOGICALLY AND STRUCTURALLY MAPPED, BRINGING THE TOTAL LAND MAPPED COUNTRYWIDE TO 61 PERCENT. GEOLOGICAL MAPPING HAS CONTRIBUTED TO MAKING ACCESS TO INFORMATION FOR PROSPECTIVE INVESTMENT IN MINING EASIER. IT IS GRATIFYING TO NOTE THAT POSITIVE GROWTH HAS BEEN RECORDED IN COPPER PRODUCTION SUPPORTED BY FAVOURABLE PRICES ON THE INTERNATIONAL MARKET, IMPROVED GRADES AS WELL AS INCREASED INVESTMENTS. IN THIS REGARD, COPPER PRODUCTION INCREASED FROM 371,285 METRIC TONNES IN THE FIRST HALF OF 2017 TO 410,919 METRIC TONNES IN THE SAME PERIOD THIS YEAR. COPPER EXPORT EARNINGS INCREASED BY 22.8 PERCENT FROM 2.8 BILLION UNITED STATES DOLLARS BETWEEN JANUARY AND JUNE 2017 TO 3.5 BILLION UNITED STATES DOLLARS IN THE SAME PERIOD IN 2018. IT IS GOVERNMENT’S POLICY TO SEE VALUE ADDITION TO OUR COPPER. THIS IS ALREADY HAPPENING AT ZAMEFA IN LUANSHYA, ZALCO IN KABWE AND NEELKANTH CABLE LIMITED IN MASAITI WHICH ARE MANUFACTURING ELECTRICAL CABLES. WE WANT TO SEE MORE VALUE ADDITION TO OUR RESOURCES. IN THE TOURISM SECTOR, ZAMBIA HAS THE POTENTIAL TO BE A TOURISM HUB IN THE REGION AND BEYOND. IT IS IN THIS REGARD, THAT GOVERNMENT HAS PUT PRIORITY ON CREATING AN ENABLING ENVIRONMENT FOR TOURISM SECTOR GROWTH. IN 2017 THE SECTOR GREW BY 6.1 PERCENT COMPARED TO 1.2 PERCENT IN 2016. IN A BID TO PROMOTE SAFARI AND PHOTOGRAPHIC TOURISM, GOVERNMENT HAS EMBARKED ON THE RESTOCKING OF WILDLIFE. SO FAR, SIOMA NGWEZI NATIONAL PARK AND BANGWEULU GAME MANAGEMENT AREA HAVE SUCCESSFULLY BEEN RESTOCKED. IN ADDITION, SEVEN PRIVATE GAME RANCHES HAVE ALSO RESTOCKED. FURTHER, THE PROMOTION OF WILDLIFE CONSERVANCIES BY OUR TRADITIONAL LEADERS IS MEANT TO ENHANCE PROTECTION OF OUR WILDLIFE STOCK. TO DEMONSTRATE THE IMPORTANCE OF THE SAFARI, PHOTOGRAPHIC AND FILMING TOURISM, I WISH TO REPORT THAT GOVERNMENT RAISED K111.8 MILLION IN 2017 FROM K110 MILLION IN 2016. FURTHER, GOVERNMENT HAS RECORDED INCREASED REVENUES FROM THE TOURISM LEVY WHICH WAS INTRODUCED IN 2017. TO THIS END, GOVERNMENT RAISED OVER K9.5 MILLION IN 2017 AND K8.8 MILLION HAS BEEN RAISED BETWEEN JANUARY AND JULY THIS YEAR. THESE FUNDS ARE USED TO ENHANCE TOURISM, MARKETING AND PRODUCT PROMOTION AS WELL AS REHABILITATION OF TOURISM INFRASTRUCTURE. MEMBERS OF THIS AUGUST HOUSE MAY WISH TO RECALL THAT SOUTH LUANGWA NATIONAL PARK WAS DECLARED AN INTERNATIONAL SUSTAINABLE WILDLIFE PARK BY THE UNITED NATIONS WORLD TOURISM ORGANISATION. THIS DECLARATION AIMS AT PROTECTING THE PRISTINE NATURE OF OUR GAME PARK BY ENSURING THAT THERE IS LIMITED HUMAN ACTIVITY ALLOWED. FURTHER, THE DECLARATION HAS GIVEN ZAMBIA AN ADDED SELLING POINT FOR THE PROMOTION OF OUR TOURISM. ENERGY IS ONE OF THE VITAL ENABLERS FOR ECONOMIC DIVERSIFICATION AND JOB CREATION. IN THIS REGARD, GOVERNMENT IS COMMITTED TO FACILITATING ACCESS TO CLEAN, SAFE, RELIABLE AND AFFORDABLE ENERGY FOR OUR PEOPLE. THIS REINFORCES OUR RESOLVE TO ACHIEVE A SMART ZAMBIA. IN MY PREVIOUS PRONOUNCEMENTS TO THIS HOUSE, GOVERNMENT’S COMMITMENT FOR ZAMBIA TO ATTAIN THE STATUS OF BEING A NET EXPORTER OF ELECTRICITY WAS MADE LOUD AND CLEAR. FOLLOWING THE VARIOUS INVESTMENTS IN THE ELECTRICITY SUB-SECTOR, OUR CURRENT INSTALLED CAPACITY STANDS AT 2,878 MEGAWATTS AGAINST THE TARGET OF 3,746 MEGAWATTS BY 2021. THIS HAS REDUCED LOAD SHEDDING AND INCREASED PRODUCTIVITY ACROSS INDUSTRIES. MY INTERACTION WITH YOUNG PEOPLE RUNNING WELDING WORKSHOPS, SALONS AND CHICKEN-RUNS ASSURES ME THAT THERE ARE NO MORE CONCERNS REGARDING POWER SUPPLY AND THIS HAS HELPED TO STABILISE THEIR BUSINESSES AND INCOMES. THIS IS WHAT WE MEAN BY PUTTING MONEY IN OUR PEOPLE’S POCKETS. CURRENTLY, ACCESS TO ELECTRICITY STANDS AT THE NATIONAL AVERAGE OF 31 PERCENT. THIS IS UNACCEPTABLE. I THERFORE DIRECT THE MINISTRY OF ENMERGY TO DO MORE TO ENSURE GREATER ACCESS TO ELECTRICITY BY OUR POPULATION COUNTRYWIDE. GOVERNMENT IS MAKING STEADY PROGRESS TO MEET THE GROWING DEMAND OF ELECTRICITY WHICH IS EXPECTED TO REACH THE PEAK DEMAND OF 3,000 MEGAWATTS BY 2021. OTHERS ARE THE 340 MEGA-WATT EMCO COAL FIRED PLANT IN SINAZONGWE, 750 MEGA-WATT KAFUE GORGE LOWER HYDRO POWER STATION, 900 MEGA-WATT LUAPULA HYDRO POWER SCHEME IN THE MEDIUM AND THE 2,400 MEGA-WATT BATOKA HYDRO POWER PROJECT IN THE LONG TERM. LET US RENEW OUR PLEDGE FOR A BETTER ENERGY SECTOR. LET US BUILD AN ENERGY SECTOR THAT SUPPORTS OUR ECONOMY. LET US PARTICIPATE IN SHAPING THE ZAMBIA WE WANT BY 2030. GOVERNMENT IS COMMITTED TO FACILITATING TRADE AND INDUSTRIALISATION AS PART OF THE DIVERSIFICATION OF THE ECONOMY. IN THIS REGARD, WE ARE IMPLEMENTING THE NATIONAL INDUSTRIAL AND THE NATIONAL TRADE POLICIES. THE NATIONAL TRADE POLICY AIMS AT PROMOTING AND STIMULATING A COMPETITIVE TRADE SECTOR, WHILE THE NATIONAL INDUSTRIAL POLICY AIMS AT TRANSFORMING ZAMBIA FROM A PRODUCER AND EXPORTER OF PRIMARY PRODUCTS TO A NET EXPORTER OF VALUE-ADDED GOODS. FURTHER, THE INDUSTRIAL POLICY ENCOURAGES THE UTILISATION OF LOCAL PRIMARY RESOURCES AND INCREASED CITIZEN PARTICIPATION. THE FAVOURABLE POLICIES OF GOVERNMENT ARE FACILITATING PRIVATE SECTOR INVESTMENTS IN THE COUNTRY. THIS YEAR ALONE, A NUMBER OF COMPANIES HAVE COME ON BOARD. THESE INCLUDE THE NEW 500 MILLION UNITED STATES DOLLAR CEMENT PLANT IN CHONGWE DISTRICT, CREATING 1,000 JOBS, A 35 MILLION UNITED STATES DOLLAR FIRST EVER TILE MANUFACTURING PLANT IN LUSAKA, WHICH HAS CREATED OVER 150 JOBS AS WELL AS THE 20 MILLION UNITED STATES DOLLAR AQUACULTURE INVESTMENT PLANT IN SIAVONGA DISTRICT WHICH IS EMPLOYING OVER 600 PEOPLE. THE PLANT IS ALSO PROVIDING A MARKET FOR MAIZE, WHEAT AND SOYABEAN FARMERS. OTHER INVESTMENTS ARE FORESTICOL FERTILISERS ZAMBIA LIMITED IN KABWE, SO FAR EMPLOYING OVER 200 PEOPLE AND THE ZAMBIA FERTILISERS MANUFACTURING PLANT IN THE LUSAKA SOUTH MULTI-FACILITY ECONOMIC ZONE WHICH HAS CREATED 300 JOBS. THE 850 MILLION UNITED STATES DOLLAR INVESTMENT BY CHINA NON-FEROUS METALS AT THE SOUTH ORE DEEP MINING PROJECT IN KALULUSHI HAS RESULTED IN OVER 1000 JOBS FOR OUR PEOPLE. ALL OF THESE INVESTMENTS ARE MAKING USE OF LOCAL RAW MATERIALS AND CREATING JOBS FOR OUR PEOPLE. I AM CONFIDENT THAT WE WILL SEE MORE OF SUCH INVESTMENTS. IN THE TRANSPORT SECTOR, THE IMPLEMENTATION OF THE LINK ZAMBIA 8,000 ROAD PROJECT IS ON-GOING. SO FAR, CONSTRUCTION OF 5,000 KILOMETRES IS AT VARIOUS STAGES OF IMPLEMENTATION ACROSS THE COUNTRY. 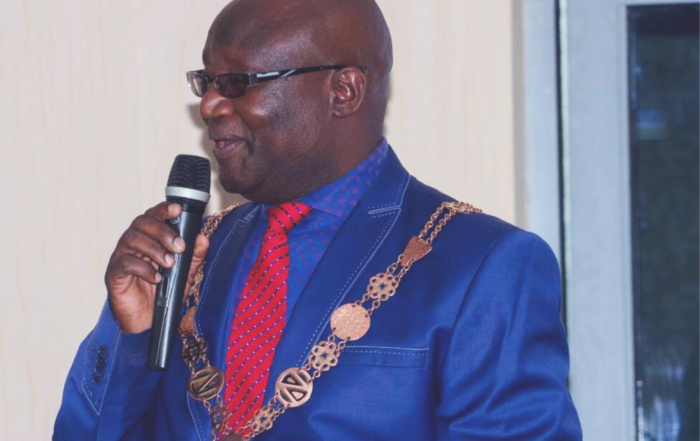 THESE INCLUDE THE KITWE TO CHINGOLA DUAL CARRIAGE WAY, THE MUMBWA TO ITEZHI-TEZHI ROAD, THE KAWAMBWA TO MUSHOTA ROAD, THE CHAMA TO MATUMBO ROAD AND THE PEDICLE ROAD. THIS PROJECT HAS CREATED OVER 6,000 JOBS SINCE ITS INCEPTION. WORK HAS BEEN COMPLETED ON SOME OF THE ROADS SUCH AS THE MBALA-NAKONDE ROAD, LUANGWA BRIDGE TO FEIRA ROAD, THE BOTTOM ROAD FROM NJAMI TO MUNYUMBWE AND THE MONGU-KALABO ROAD. OUR PEOPLE APPRECIATE THE COMING OF THESE ROADS IN THEIR RESPECTIVE AREAS AS THEY HAVE REDUCED TRAVEL TIME AND VEHICLE MAINTENANCE COSTS AS WELL AS INCREASED ACCESS TO MARKETS. MOST OF YOU IN THIS AUGUST HOUSE CAN ATTEST TO THIS REALITY. THIS IS TRULY PUTTING MONEY IN OUR PEOPLE’S POCKETS. THE CONSTRUCTION OF THE NEW TERMINAL AT KENNETH KAUNDA INTERNATIONAL AIRPORT IN LUSAKA IS PROGRESSING WELL AND NOW STANDS AT ABOVE 75 PERCENT COMPLETION COMPARED TO THE 52 PERCENT WHICH I REPORTED LAST YEAR. THESE WORKS ARE EXPECTED TO BE COMPLETED IN 2019. THE CONSTRUCTION OF THE COPPERBELT INTERNATIONAL AIRPORT HAS ALSO COMMENCED AND WORKS ARE AT 13 PERCENT AND COMPLETION IS EXPECTED IN THREE YEARS TIME. ONCE COMPLETED, THE TWO AIRPORTS WILL BOOST TOURISM, TRADE, EMPLOYMENT AND SERVICE DELIVERY TO OUR PEOPLE. IN OUR DESIRE TO PROMOTE A SMART ZAMBIA AND ACHIEVE UNIVERSAL COVERAGE IN TELECOMMUNICATIONS COUNTRYWIDE, GOVERNMENT HAS COMMENCED THE INSTALLATION OF COMMUNICATION TOWERS UNDER PHASE II OF THE TELECOMMUNICATIONS TOWERS PROJECT. SO FAR, 318 OUT OF 1,009 TOWERS HAVE BEEN ERECTED. WE EXPECT ALL THE TOWERS TO BE ERECTED BY 2021. THIS PROJECT IS EXPECTED TO IMPROVE COVERAGE FROM THE CURRENT 84 PERCENT TO 95 PERCENT OF THE COUNTRY ONCE COMPLETED. WE HAVE MADE PROGRESS IN ROLLING OUT THE DIGITAL MIGRATION PROGRAMME. IN THIS REGARD, 55 OUT OF 63 DIGITAL BROADCASTING TRANSMISSION SITES HAVE BEEN COMMISSIONED THROUGHOUT THE COUNTRY. THIS HAS IMPROVED ACCESS TO DIGITAL TELEVISION SERVICE THROUGHOUT THE COUNTRY. AT THE RECENT ZAMBIA AGRICULTURE AND COMMERCIAL SHOW IN LUSAKA, I HAD THE PRIVILEGE TO SEE THE STATE-OF- THE- ART OUTSIDE BROADCASTING VANS FOR THE ZAMBIA NATIONAL BROADCASTING CORPORATION WHICH ARE PART OF THE GREATER SUCCESS STORY OF OUR DIGITAL MIGRATION PROJECT. ALL OF US TODAY, CAN ATTEST TO THE CLEAR PICTURE WE ARE NOW ENJOYING ON OUR LOCAL TELEVISION SERVICES. GOVERNMENT, WITH THE SUPPORT OF THE GOVERNMENT OF THE PEOPLE’S REPUBLIC OF CHINA, IS ALSO ROLLING OUT A PROJECT DUBBED, “ACCESS TO SATELLITE TELEVISION BY 10,000 AFRICAN VILLAGES.” THROUGH THE PROJECT, 500 SELECTED VILLAGES IN ZAMBIA WILL BE CONNECTED TO SATELLITE TELEVISION. THIS IS A FURTHER PRACTICAL BENEFIT OF OUR DIGITAL MIGRATION PROGRAMME. MR. CHARLES TEMBO OF KAWAZA COMPOUND IN SINDA DISTRICT SPOKE FOR MANY WHEN HE SAID AND I QUOTE, “BEING ABLE TO WATCH TV IN MY GRASS-THATCHED HOUSE IS LIKE A DREAM COME TRUE. I AM NOW ABLE TO SEE WHAT IS HAPPENING IN OTHER PARTS OF THE COUNTRY AND FOLLOW PROGRAMMES THAT EDUCATE ME ON MODERN FARMING METHODS AND HOW TO IMPROVE MY YIELDS,” END OF QUOTE. THE SOCIAL CASH TRANSFER PROGRAMME HAS PROVED TO BE EFFECTIVE IN CONTRIBUTING TO POVERTY REDUCTION AS WELL AS INCOME REDISTRIBUTION, ESPECIALLY IN THE RURAL COMMUNITIES WHERE POVERTY IS VERY HIGH. THE PROGRAMME IS BEING SCALED UP TO REACH A TOTAL OF 700,000 BENEFICIARY HOUSEHOLDS COUNTRYWIDE BY THE END OF THIS YEAR. CURRENTLY, 632,020 HOUSEHOLDS ARE BENEFITING. TO ENSURE FOOD SECURITY FOR VULNERABLE BUT VIABLE POOR HOUSEHOLDS, GOVERNMENT WILL, IN THE 2018/2019 FARMING SEASON, INCREASE THE COVERAGE OF THE FOOD SECURITY PACK PROGRAMME FROM 27,650 BENEFICIARIES IN THE PREVIOUS FARMING SEASON TO 80,000. THE 27,650 FARMERS ARE EXPECTED TO PRODUCE 41,475 METRIC TONNES OF MAIZE AND 706 METRIC TONNES OF LEGUMES. IN 2017, 12,445 VULNERABLE WOMEN IN 11 DISTRICTS WERE EMPOWERED WITH LIFE AND BUSINESS SKILLS AS WELL AS PROVIDED WITH GRANTS OF K2,000 EACH. BY THE END OF THIS YEAR, AN ADDITIONAL 21,000 WOMEN IN 31 DISTRICTS WILL BE SUPPORTED. FURTHER, GOVERNMENT IS SUPPORTING 15,082 GIRLS AGED BETWEEN 14 AND 18 YEARS TO BE RETAINED IN SCHOOL. GOVERNMENT IS EQUALLY COMMITTED TO THE PROMOTION OF THE RIGHTS OF PERSONS WITH DISABILITIES. IN THIS REGARD, WE HAVE CONTINUED TO MAINSTREAM DISABILITY IN ALL OUR PROGRAMMES. FOR INSTANCE, WE ARE PROMOTING THE INCLUSION OF SIGN LANGUAGE AND BRAILLE IN OUR VARIOUS INSTITUTIONS, EXPANDED USE OF RAMPS AND ELEVATORS IN PUBLIC BUILDINGS. WE HAVE ALSO WAIVED DUTY ON THE IMPORTATION OF MODIFIED VEHICLES FOR PERSONS WITH DISABILITIES. I, THEREFORE, CALL UPON THE PRIVATE SECTOR, FAITH BASED ORGANISATIONS AND THE CIVIL SOCIETY TO ALSO MAINSTREAM DISABILITY IN ALL THEIR PROGRAMMES. I AM HAPPY TO INFORM THIS AUGUST HOUSE THAT THE YOUTH RESETTLEMENT PROGRAMME WHICH STARTED AT THE FORMER MWANGE REFUGEE CAMP IN MPOROKOSO DISTRICT OF NORTHERN PROVINCE IS DOING WELL. AS AT 30TH JUNE, 2018, A TOTAL OF 230 YOUTHS HAD BEEN RESETTLED AT THE CENTRE AND WERE INVOLVED IN VARIOUS ECONOMIC ACTIVITIES. THESE INCLUDED CROP PRODUCTION AND ANIMAL HUSBANDRY. THE GOOD NEWS IS THAT MWANGE YOUTH RESETTLEMENT CENTRE EMERGED AS THE BEST AGRICULTURE CAMP IN NORTHERN PROVINCE IN THE 2017/2018 FARMING SEASON. THIS IS A CLEAR DEMONSTRATION THAT GIVEN THE NECESSARY SUPPORT, THE YOUTH ARE CAPABLE OF BEING PRODUCTIVE AND AT THE CENTRE OF DRIVING OUR ECONOMIC DIVERSIFICATION AGENDA. I, THEREFORE, URGE THE YOUTH TO TAKE ADVANTAGE OF THE RESETTLEMENT PROGRAMME TO IMPROVE THEIR LIVES. TO FURTHER PROMOTE OUR INCLUSIVE AGENDA, GOVERNMENT HAS EXTENDED SOCIAL SECURITY COVERAGE TO THE INFORMAL SECTOR THROUGH THE NATIONAL PENSION SCHEME AUTHORITY, NAPSA. THIS PENSION SCHEME IS NOW COVERING DOMESTIC WORKERS, BUS AND TAXI DRIVERS, ARTISTS, MARKETEERS, TRADERS AND SMALL SCALE FARMERS. I URGE OUR PEOPLE IN THE INFORMAL SECTOR TO JOIN AVAILABLE SOCIAL SECURITY PROGRAMMES TO AVOID DESTITUTION IN OLD AGE. FURTHER, I AM ENCOURAGING OUR PEOPLE TO TAKE UP INSURANCE POLICIES TO COVER THEIR BUSINESS VENTURES AND THEIR LIVES IN THE EVENT OF CALAMITIES. WE ALL NEED TO ASSIST IN EDUCATING AND ENCOURAGING OUR PEOPLE ON THE IMPORTANCE AND BENEFITS OF TAKING UP THESE POLICIES. INDEED, THERE IS HOPE FOR EVERYONE WHEN WE DO THE RIGHT THING. CONTINUATION OF IMPLEMENTATION OF NECESSARY POLICY INTERVENTIONS IN THE CRITICAL SECTORS OF EDUCATION, HEALTH, AGRICULTURE, ENERGY, COMMUNICATIONS, WATER, SANITATION, ROADS AND OTHER ECONOMIC AND SOCIAL SECTORS IS KEY. THIS INCLUDES IMPLEMENTING PROGRAMMES AIMED AT TAKING DEVELOPMENT TO RURAL AREAS. THIS IS BEING DONE THROUGH, BUT NOT LIMITED TO THE ESTABLISHMENT OF NEW DISTRICTS IN RURAL AREAS AND PROMOTION OF INDUSTRIALISATION ACROSS THE LENGTH AND BREADTH OF OUR COUNTRY. IT WOULD APPEAR THAT DEVELOPMENT INEQUALITY HAS A FEMALE FACE. THIS IS BECAUSE WOMEN AND GIRLS CONTINUE TO BEAR THE UNEQUAL BURDEN OF POVERTY AND FACE CHALLENGES IN ACCESSING JUSTICE, SOCIAL AND ECONOMIC OPPORTUNITIES. THIS IS EXACERBATED BY SOME DEEP-ROOTED CULTURAL AND TRADITIONAL PRACTICES THAT PROMOTE MALE DOMINANCE AND THE SUBORDINATION OF WOMEN AND GIRLS. GOVERNMENT IS, THEREFORE, COMMITTED TO PROMOTING GENDER EQUALITY. THE FORMER UNITED NATIONS SECRETARY GENERAL, THE LATE MR. KOFI ANNAN, MAY HIS SOUL REST IN PEACE, WAS RIGHT TO SAY AND I QUOTE, “GENDER EQUALITY IS MORE THAN A GOAL IN ITSELF. IT IS A PRE-CONDITION FOR MEETING THE CHALLENGE OF REDUCING POVERTY, PROMOTING SUSTAINABLE DEVELOPMENT AND BUILDING GOOD GOVERNANCE”, END OF QUOTE. IN THE TERTIARY EDUCATION SUB-SECTOR, GOVERNMENT HAS OPERATIONALISED THE KAPASA MAKASA, KWAME NKRUMAH, MUKUBA AND CHALIMBANA UNIVERSITIES FOR INCREASED ACCESS. THE CONSTRUCTION OF FREDERICK TITUS JACOB CHILUBA UNIVERSITY IN MANSA, KING LEWANIKA UNIVERSITY IN MONGU AND KASAMA UNIVERSITY IN KASAMA HAS COMMENCED. THESE UNIVERSITIES, ONCE COMPLETED, WILL PROVIDE MORE THAN 4,000 ADDITIONAL LEARNING PLACES. ACCESS TO EQUITABLE AND INCLUSIVE EDUCATION HAS BEEN ENHANCED. STUDENT ENROLMENT IN PUBLIC UNIVERSITIES STOOD AT 58,442 IN 2017 FROM 49,236 IN 2016. THE ENROLMENT OF FEMALE STUDENTS INCREASED FROM 21,373 IN 2016 TO 26,845 IN 2017. THE NUMBER OF STUDENTS ENROLLED IN TECHNICAL EDUCATION, VOCATIONAL AND ENTREPRENEURSHIP TRAINING (TEVET) INSTITUTIONS ALSO INCREASED FROM 36,575 IN 2016 TO 39,802 IN 2017. THE NUMBER OF FEMALE STUDENTS ENROLLED IN 2017 WAS 11,669 FROM 9,958 IN 2016. CONSTRUCTION OF SEVEN TEVET INSTITUTIONS, NAMELY ISOKA, KALABO, SESHEKE, MPOROKOSO, MUMBWA, LUNDAZI AND MWENSE IS PROGRESSING WELL AND NEARING COMPLETION. I HAVE BEEN FOLLOWING WITH KEEN INTEREST THE ADVANCEMENT OF SOME OF THE STUDENTS COMING OUT OF OUR TRADES TRAINING INSTITUTES AND YOUTH RESOURCE CENTRES LOCATED IN VARIOUS PARTS OF THE COUNTRY. SOME HAVE BECOME SUCCESSFUL EMPLOYERS OF FELLOW YOUTHS. SUCH IS THE STORY OF FREDSON KASONGO, FORMER STUDENT OF MUFUMBWE YOUTH RESOURCE CENTRE WHO IS NOW A CONTRACTOR IN SOLWEZI AND HAS ENGAGED 360 WORKERS. THERE IS ALSO CAROL LUBEMBA, A FORMER STUDENT OF LUSAKA YOUTH RESOURCE CENTRE, WHO NOW RUNS A RESTAURANT AND HAS EMPLOYED SIX WORKERS ON PERMANENT BASIS. THESE YOUTHS ARE A SHINING EXAMPLE OF WHAT CAN HAPPEN WHEN A YOUNG PERSON IS GIVEN A SKILL. EFFECTIVE REGULATION IS CRITICAL TO ENSURING PROVISION OF QUALITY TERTIARY EDUCATION. TO THIS EFFECT, GOVERNMENT IS REVIEWING THE HIGHER EDUCATION POLICY AND THE TECHNICAL EDUCATION, VOCATIONAL AND ENTREPRENEURSHIP TRAINING (TEVET) POLICY TO PROVIDE A FRAMEWORK FOR ASSURING QUALITY IN TERTIARY EDUCATION. GOVERNMENT HAS CONTINUED TO PROVIDE LOANS AND SCHOLARSHIPS TO LEARNERS AT ALL LEVELS OF OUR EDUCATION SYSTEM. IN 2017, A TOTAL OF 25,128 UNIVERSITY AND TEVET STUDENTS WERE SUPPORTED UNDER THE LOANS AND SCHOLARSHIPS BOARD, THE TEVET BURSARY, THE SKILLS DEVELOPMENT FUND AND THE SUPPORT TO SCIENCE AND TECHNOLOGY PROJECT. THE SKILLS DEVELOPMENT FUND HAS ALSO BEEN INSTRUMENTAL IN FINANCING THE REVIEW OF OVER 79 CURRICULA IN THE LAST YEAR TO ALIGN THEM TO INDUSTRY AND THE NATIONAL DIVERSIFICATION AGENDA. IN THE AREA OF SCIENCE AND TECHNOLOGY, WE ARE MAKING PROGRESS TOWARDS THE ESTABLISHMENT OF THE CENTRE FOR NUCLEAR SCIENCE AND TECHNOLOGY. THIS CENTRE IS NOT A NUCLEAR POWER PLANT BUT A CENTRE FOR RESEARCH IN NUCLEAR SCIENCE AND TECHNOLOGY. ONCE OPERATIONAL, THE CENTRE WILL CONTRIBUTE TOWARDS ENHANCED TREATMENT OF CANCER, IRRADIATION OF CERTAIN AGRICULTURAL AND MINERAL PRODUCTS FOR EXPORT AS WELL AS OTHER INDUSTRIAL USES. THIS WILL ALSO CREATE A CENTRE OF EXCELLENCE WHICH WILL CONTRIBUTE TO ACADEMIC TOURISM AS WELL AS CREATE JOBS. IN THIS REGARD, THE CENTRE WILL CONTRIBUTE TOWARDS IMPROVED REVENUES REALISED FROM EXPORTS AND MAKE ZAMBIA A NUCLEAR SCIENCE REGIONAL HUB. TO FACILITATE THE SEAMLESS RUNNING OF THE CENTRE BY ZAMBIANS, A NUMBER OF YOUNG ZAMBIANS ARE ALREADY UNDERGOING TRAINING IN NUCLEAR SCIENCE AND RESEARCH. THIS EFFORT IS PART OF OUR AGENDA TO ACHIEVE A SMART ZAMBIA AS WE MOVE TOWARDS ATTAINING VISION 2030. IN GENERAL EDUCATION, A TOTAL OF 3,148 TEACHERS WERE RECRUITED AND DEPLOYED TO SCHOOLS ACROSS THE COUNTRY IN 2017 TOWARDS OUR TARGET OF 55,000 TEACHERS OVER THE NEXT 10 YEARS. AN ADDITIONAL 2,000 TEACHERS WILL BE RECRUITED BEFORE THE END OF THIS YEAR. FURTHER, 2,939 TEACHERS ARE BEING SUPPORTED TO UPGRADE THEIR QUALIFICATIONS UNDER THE FAST-TRACK TEACHER EDUCATION PROGRAMME. TO MEET INCREASING DEMAND FOR SECONDARY SCHOOL EDUCATION, GOVERNMENT IS BUILDING NEW SECONDARY SCHOOLS AND UPGRADING PRIMARY SCHOOLS IN NEEDY AREAS. SO FAR 115 SCHOOLS ARE BEING BUILT, OUT OF WHICH 62 HAVE BEEN COMPLETED. IN ADDITION, 82 SECONDARY SCHOOLS ARE BEING CONSTRUCTED THROUGH COMMUNITY PARTICIPATION. FURTHER, 1,155 COMMUNITY SCHOOLS WERE UPGRADED INTO PRIMARY SCHOOLS IN 2017. IN ADDITION, 477 PRIMARY SCHOOLS WERE UPGRADED INTO SECONDARY SCHOOLS. LET ME NOW TURN TO THE HEALTH SECTOR. WE HAVE CONTINUED TO RECORD REMARKABLE SUCCESS IN PRIMARY HEALTH CARE. IN THIS CONNECTION, IMMUNISATION COVERAGE INCREASED FROM 92 PERCENT IN 2017 TO 94 PERCENT IN THE FIRST QUARTER OF THIS YEAR. THE NATIONAL OUTTURN ON INSTITUTIONAL MATERNAL DEATHS REDUCED TO 138 DEATHS PER 100,000 LIVE BIRTHS IN 2017 FROM 149 DEATHS PER 100,000 LIVE BIRTHS IN 2016. THE BENEFITS OF THESE INTERVENTIONS ARE EVIDENT IN LIVES SAVED. GOVERNMENT IS DETERMINED TO MAKE ZAMBIA MALARIA FREE. INTERVENTIONS BEING UNDERTAKEN INCLUDE INDOOR RESIDUAL SPRAYING AND MASS DISTRIBUTION OF LONG LASTING INSECTICIDE-TREATED MOSQUITO NETS. THE TOTAL NUMBER OF PEOPLE PROTECTED THROUGH INDOOR RESIDUAL SPRAYING INCREASED FROM 6.7 MILLION IN 2016 TO 7.8 MILLION IN 2017 WHILE 10.1 MILLION MOSQUITO NETS WERE DISTRIBUTED DURING THE 2017/2018 MASS DISTRIBUTION EXERCISE. THE UNIVERSAL ROUTINE HIV TESTING, COUNSELLING AND TREATMENT, WHICH I LAUNCHED LAST YEAR, HAS RESULTED IN 20 PERCENT INCREASE IN THE HIV TESTING UPTAKE AND A 4 PERCENT INCREASE IN TREATMENT UPTAKE WHILE THE TB TREATMENT SUCCESS RATE INCREASED TO 89 PERCENT BY 2017. THIS IS IMPROVING THE QUALITY OF LIFE AND AVERTING PREVENTABLE DEATHS. I, NOTE WITH CONCERN, HOWEVER, THAT OUR YOUNG PEOPLE HAVE BEEN LEFT BEHIND. WHEREAS WE HAVE REACHED OVER 80 PERCENT OF ADULTS IN NEED OF ANTI-RETROVIRAL THERAPY, WE HAVE ONLY REACHED HALF OF OUR YOUNG PEOPLE. IT IS OUR DUTY TO ENCOURAGE OUR YOUNG PEOPLE TO ACCESS THESE SERVICES. TO BRING MEDICINES CLOSER TO WHERE THEY ARE NEEDED AND AVOID WASTAGE IN THE CENTRAL STORAGE FACILITIES, GOVERNMENT IS CONSTRUCTING MEDICINE STORAGE FACILITIES. I AM PLEASED TO INFORM THIS AUGUST HOUSE THAT CHIPATA, CHOMA, MONGU AND NDOLA HUBS ARE NOW OPERATIONAL. OTHER STORAGE HUBS ARE UNDER CONSTRUCTION IN STRATEGIC REGIONS ACROSS THE COUNTRY. VERY SOON, MANSA AND MPIKA WILL COME ON BOARD. GOVERNMENT HAS CONTINUED TO ADDRESS THE SHORTAGE OF HEALTH PERSONNEL AT ALL LEVELS OF CARE. SO FAR, 15,376 HEALTH PERSONNEL HAVE BEEN RECRUITED AND DEPLOYED IN VARIOUS HEALTH FACILITIES COUNTRYWIDE BETWEEN 2016 AND THIS YEAR. SPECIAL ATTENTION HAS BEEN GIVEN TO THE RECRUITMENT OF MEDICAL DOCTORS, NURSES AND MIDWIVES. WE WILL CONTINUE TO WORK TOWARDS ACHIEVING THE TARGET OF RECRUITING 30,000 HEALTH WORKERS BY 2021 AND ENSURE THAT ALL HEALTH FACILITIES HAVE THE APPROPRIATE AND ADEQUATE STAFF-MIX DEPLOYED TO OFFER QUALITY HEALTH SERVICES TO OUR PEOPLE. TO ENSURE THE AVAILABILITY OF SKILLED HEALTH PERSONNEL, GOVERNMENT HAS ESTABLISHED THE LEVY MWANAWASA TEACHING HOSPITAL AND EMBARKED ON UPGRADING IT TO A STRATEGIC NATIONAL TRAINING HUB. FURTHER, THE NDOLA CENTRAL HOSPITAL HAS BEEN UPGRADED INTO A UNIVERSITY TEACHING HOSPITAL. THIS ADDS MORE LEARNING PLACES TO WHAT IS AVAILABLE AT THE UNIVERSITY TEACHING HOSPITAL IN LUSAKA. THIS ALSO CREATES INCREASED OPPORTUNITIES FOR MEDICAL AND ACADEMIC TOURISM. GOVERNMENT HAS ALSO COMMENCED A SPECIALIST TRAINING PROGRAMME FOR HEALTH WORKERS IN, AMONG OTHERS, ONCOLOGY, PUBLIC HEALTH AND TRAUMA. CURRENTLY, 215 DOCTORS ARE ALREADY IN TRAINING AGAINST A TARGET OF 500 SPECIALISTS BY 2021. THIS TRAINING IS BEING OFFERED AT VARIOUS INSTITUTIONS WITHIN THE COUNTRY, SUCH AS UNIVERSITY TEACHING HOSPITAL, NDOLA TEACHING HOSPITAL, LIVINGSTONE TEACHING HOSPITAL AND KITWE TEACHING HOSPITAL. CLEAN AND SAFE DRINKING WATER IS AN ESSENTIAL PART OF HUMAN DEVELOPMENT. HENCE, WE HAVE TARGETED TO INCREASE ACCESS TO CLEAN AND SAFE DRINKING WATER FROM THE CURRENT 65 PERCENT TO 85 PERCENT AND ACCESS TO SANITATION FROM 25 PERCENT TO 30 PERCENT BY 2021. THE ATTAINMENT OF THESE TARGETS WILL BE NECESSARY BUILDING BLOCKS TOWARDS THE REALISATION OF VISION 2030. ACCORDINGLY, A NUMBER OF INFRASTRUCTURE DEVELOPMENT PROJECTS ARE UNDER IMPLEMENTATION IN ALL THE TEN PROVINCES OF OUR COUNTRY. THESE INCLUDE THE LUSAKA WATER SANITATION AND DRAINAGE PROJECT, LUSAKA SANITATION PROGRAMME, THE KAZUNGULA EMERGENCY WATER SUPPLY PROJECT IN MATINANGALA, THE MUFUMBWE WATER SUPPLY PROJECT AND THE MWANDI WATER SUPPLY PROJECT. WE HAVE ALSO CONTINUED TO IMPROVE ACCESS TO SAFE AND CLEAN DRINKING WATER IN RURAL AREAS THROUGH CONSTRUCTION OF BOREHOLES AND WATER POINTS. SO FAR, 735 BOREHOLES HAVE BEEN CONSTRUCTED THIS YEAR COVERING EASTERN, SOUTHERN, WESTERN AND NORTHERN PROVINCES. OUR PEOPLE NEED MORE THAN HOPE IN THE AREA OF HUMAN DEVELOPMENT. THEY NEED THE SERVICES OF THEIR GOVERNMENT AND THAT IS WHAT WE ARE DELIVERING. A CONDUCIVE GOVERNANCE ENVIRONMENT CENTRED ON TRANSPARENCY AND ACCOUNTABILITY, INCLUSIVE DEMOCRATIC SYSTEM OF GOVERNANCE, THE RULE OF LAW, HUMAN RIGHTS AND CONSTITUTIONALISM, ARE IMPERATIVE TO ANY NATION. AN ELECTRONIC PAYMENT SYSTEM FOR PUBLIC SERVICES HAS SINCE BEEN INTRODUCED TO ENHANCE TRANSPARENCY AND MINIMISE LEAKAGES IN THE COLLECTION OF NON-TAX REVENUES. FOR INSTANCE, THE IMPLEMENTATION OF THE ONLINE CONSOLIDATED IMMIGRATION SYSTEM HAS RESULTED IN IMPROVED REVENUES OF OVER ONE MILLION UNITED STATES DOLLARS WITHIN FIVE MONTHS OF ITS INTRODUCTION. IN ADDITION, THE SYSTEM HAS REDUCED THE COST AND TIME OF DOING BUSINESS. FURTHER, GOVERNMENT HAS FULLY IMPLEMENTED THE ELECTRONIC CABINET SYSTEM IN ALL THE 29 MINISTRIES AND 10 PROVINCIAL ADMINISTRATION OFFICES. THIS HAS RESULTED IN OVER 85 PERCENT COST SAVINGS FOR GOVERNMENT. THIS INNOVATION IS ALSO CONTRIBUTING TOWARDS PROMOTING A GREEN ECONOMY. IN ADDITION, THE INTRODUCTION OF THE GOVERNMENT WIDE-AREA NETWORK HAS RESULTED IN THE REDUCTION IN PAYMENTS FOR INTERNET SERVICES FROM K62 MILLION TO K28 MILLION, A SAVING OF K34 MILLION. GOVERNMENT HAS EXPANDED THE ESTABLISHMENT OF THE OFFICE OF THE AUDITOR-GENERAL IN ORDER TO ENABLE IT DISCHARGE ITS CONSTITUTIONAL MANDATE WHICH INCLUDES AUDIT OF LOCAL AUTHORITIES. THIS WILL STRENGTHEN TRANSPARENCY AND ACCOUNTABILITY IN VIEW OF THE DEVOLUTION OF FUNCTIONS TO LOCAL AUTHORITIES. GOVERNMENT IS MAKING STEADY PROGRESS IN THE IMPLEMENTATION OF THE NATIONAL DECENTRALISATION POLICY. THE OBJECTIVE OF THE POLICY IS TO DEVOLVE SOME CENTRAL GOVERNMENT FUNCTIONS TO THE LOCAL AUTHORITIES WITH MATCHING RESOURCES. EXCELLENCE IN SERVICE DELIVERY SHOULD BE THE HALLMARK OF DECENTRALISATION. I EXPECT EVERY PUBLIC SERVANT FROM THE DOCTOR, NURSE AND PORTER AT CHOMA GENERAL HOSPITAL, TO THE REGISTRATION OFFICER IN LUKULU DISTRICT, THE TEACHER IN KABOMPO, THE PONTOON OPERATOR AT KAZUNGULA, THE AGRICULTURE EXTENSION OFFICER IN IKELENGE DISTRICT AND THE CONSTABLE AT KANYAMA POLICE POST TO UPHOLD THE HIGHEST STANDARDS AND ETHICS IN THE PERFORMANCE OF THEIR DUTIES. TO IMPROVE SERVICE DELIVERY IN THE AREA OF JUSTICE, GOVERNMENT WILL IMPLEMENT AN AUTOMATED CASE-FLOW MANAGEMENT SYSTEM. THE SYSTEM WILL LINK THE ZAMBIA POLICE SERVICE, NATIONAL PROSECUTIONS AUTHORITY, JUDICIARY, LEGAL AID BOARD AND ZAMBIA CORRECTIONAL SERVICES. IT IS ENVISAGED THAT THE SYSTEM WILL MAKE A SIGNIFICANT CONTRIBUTION TOWARDS ADDRESSING CHALLENGES IN DISPENSING JUSTICE. THESE INCLUDE LOSS OF CASE RECORDS AND BACKLOGS AS WELL AS CONGESTION IN CORRECTIONAL FACILITIES. THE CASE-FLOW MANAGEMENT SYSTEM WILL ALSO ENHANCE EFFICIENCY AND IMPROVE TRANSPARENCY. GOVERNMENT IS ALSO COLLABORATING WITH THE PRIVATE SECTOR TO CONSTRUCT NEW AND MODERN CORRECTIONAL FACILITIES TO ADDRESS OVERCROWDING OF INMATES. THE CONSTRUCTION OF THE TWO CORRECTIONAL FACILITIES UNDER THE PUBLIC PRIVATE PARTNERSHIP IN MWEMBESHI WITH A HOLDING CAPACITY OF 3,200 INMATES HAVE REACHED 70 PERCENT COMPLETION AND ARE EXPECTED TO BE COMPLETED BY END OF 2019. IN INTERNATIONAL DIPLOMACY, ZAMBIA HAS CONTINUED TO ASSUME A LEADING ROLE IN THE SOUTHERN AFRICAN DEVELOPMENT COMMUNITY, THE COMMON MARKET FOR EASTERN AND SOUTHERN AFRICA AND THE AFRICAN UNION. WE HAVE ASSUMED THE CHAIR OF THE SADC TROIKA ORGAN ON POLITICS, DEFENCE AND SECURITY. THIS IMPLIES THAT ZAMBIA WILL ONCE AGAIN PLAY A LEADING ROLE IN PROMOTING POLITICAL STABILITY IN THE REGION. FURTHER, MOST MEETINGS OF THIS ORGAN WILL BE HELD IN THE COUNTRY. ZAMBIA, THEREFORE, STANDS TO BENEFIT IN THE AREA OF CONFERENCE TOURISM. ZAMBIA WAS AMONG THE 43 AFRICAN COUNTRIES THAT SIGNED THE KIGALI DECLARATION ON 21ST MARCH, 2018. THE DECLARATION WILL CULMINATE INTO THE OPERATIONALISATION OF THE AFRICAN UNION CONTINENTAL FREE TRADE AREA. THIS FREE TRADE AREA WILL BE THE LARGEST TRADING BLOC IN THE WORLD, BRINGING TOGETHER 55 COUNTRIES, A COMBINED POPULATION OF ABOUT 1.2 BILLION PEOPLE AND A COMBINED GDP OF 3.4 TRILLION UNITED STATES DOLLARS. TO BENEFIT FROM THIS FREE TRADE AGREEMENT, WE NEED TO ACCELERATE OUR INDUSTRIALISATION IN ORDER TO HAVE A SHARE IN THIS EXPORT MARKET. WE ALSO NEED TO CONFORM TO LOCAL AND INTERNATIONAL QUALITY STANDARDS AS WELL AS STRICTLY ENFORCE COMPLIANCE TO COMPULSORY STANDARDS ON BOTH IMPORTS AND EXPORTS. IN ADDITION, BUYING ZAMBIAN PRODUCTS WILL STRENGTHEN OUR INDUSTRIES TO COMPETE AT THE CONTINENTAL LEVEL. IN THE COURSE OF THIS ADDRESS, I HAVE OUTLINED WHAT GOVERNMENT HAS AND IS DOING TO ADVANCE OUR DEVELOPMENT AGENDA, ESPECIALLY IN THE AREAS OF MACROECONOMIC STABILISATION, SOCIO-ECONOMIC INFRASTRUCTURE, HUMAN CAPITAL, POVERTY AND VULNERABILITY REDUCTION. I HAVE ALSO HIGHLIGHTED THE PROGRESS WE ARE MAKING IN THE AREAS OF ENTERPRISE DEVELOPMENT AND INDUSTRIALISATION. THESE MEASURES ARE KEY IN ATTAINING VISION 2030. I BELIEVE THAT, THIS DEVELOPMENT TRAJECTORY CANNOT BE EASILY ACCOMPLISHED WITHOUT A KEEN SENSE OF PATRIOTISM AND INCLUSION OF EVERYONE. I CALL UPON EVERY CITIZEN TO CONTINUE BUILDING ON THIS FIRM FOUNDATION AND MAKE THEIR CONTRIBUTIONS TOWARDS MAKING A SMART ZAMBIA A REALITY AS WELL AS CREATING A BETTER FUTURE FOR ALL ZAMBIANS BY 2030. WE WANT A ZAMBIA WHICH POSTERITY WILL BE PROUD OF. A ZAMBIA THAT WILL BE A BEACON OF PROSPERITY IN AFRICA. A ZAMBIA THAT WILL BE ADMIRED, NOT ONLY BY AFRICA, BUT THE WHOLE WORLD. WE MUST REMAIN UNITED IF WE HAVE TO SUSTAIN THE GAINS WE HAVE ACHIEVED SO FAR. TO FOSTER THIS UNITY, LET US CONTINUE TO DIALOGUE WITH EACH OTHER. IT IS ONLY THROUGH DIALOGUE THAT WE WILL RESOLVE OUR ISSUES AND FOCUS OUR ENERGIES ON DEVELOPMENTAL MATTERS. I, THEREFORE, WANT TO COMMEND ALL THE POLITICAL PLAYERS WHO HAVE SHOWN COMMITMENT TO THE PROCESS OF DIALOGUE AS WELL AS TO ENDING POLITICAL VIOLENCE. AS WE STRIVE TOWARDS ACHIEVING VISION 2030, WE MUST NOT FORGET THE IMPORTANCE OF GOOD MORALS AND ETHICS. LET US RENEW OUR PLEDGE TO UPHOLD OUR NATIONAL VALUES AND PRINCIPLES FOR A BETTER ZAMBIA. LET US BUILD A ZAMBIA THAT LEAVES A LASTING MARK ON THE WORLD. IN ALL OUR ENDEAVOURS, WE MUST LOOK TO GOD OUR CREATOR FOR WISDOM, GUIDANCE AND STRENGTH AS WE EXECUTE OUR DEVELOPMENT AGENDA. TOGETHER WITH POSITIVE ATTITUDE WE WILL SUCCEED. TOGETHER WITH POSITIVE WORK CULTURE WE MUST PROGRESS. TOGETHER WITH POSITIVE APPROACHES WE WILL STRIVE TO ACHIEVE.